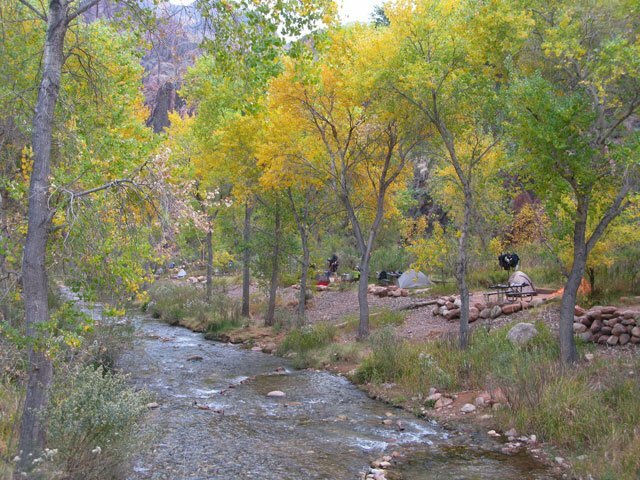 Bright Angel is located approximately 1/4 to 1/3 of a mile downstream from Phantom Ranch and is operated by Grand Canyon National Park. 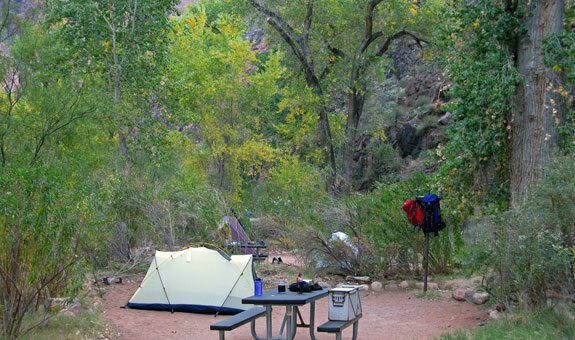 A backcountry permit is required for camping anywhere in the Inner Canyon including Bright Angel, Indian Garden and Cottonwood Campgrounds. 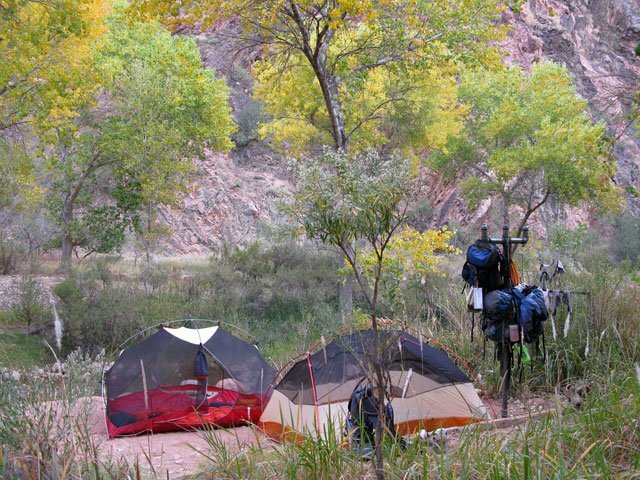 There are 33 campsites which consists of 31 small group sites (1-6 people) and 2 large group sites (7-11 people). 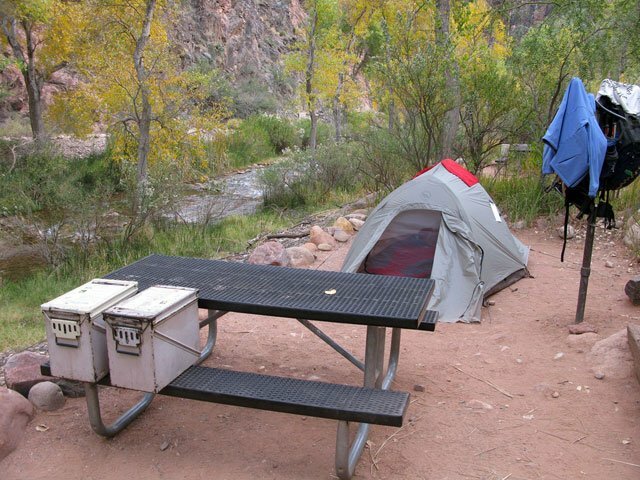 Camping is extremely popular and therefore permits are very difficult to obtain. More details can be found on the Backcountry Permits page. The small group sites vary in size but none are very large, so it is a good idea to keep that in mind if there are 6 of you and everyone is planning on taking a tent! It is a good idea to take the smallest tent possible and/or plan on sharing. Here are photos of some of the small group sites. There is one building with toilets in the campground located directly in the middle of the row of sites. They have two stalls each for the men and women, and there is a ‘slop’ sink with running water located outside the men’s side. This is where you can wash dishes and yourself. The restrooms have running water and flush toilets and electric lights. Outside the restrooms is a bulletin board where the rangers post the weather, ranger programs and any other important notices daily. The showers at Phantom Ranch are NOT available to campers. You have to be staying at the Lodge to use them. Coffee is available at the side window at Phantom Ranch starting at 5:00 AM. You can’t get t-shirts or any other items from the window. Phantom Ranch Canteen hours are: 8:00 AM to 4:00 PM and again at 8:00 PM to 10:00 PM. This is when it is open to the public and not being used for meals or meal prep.